Dogs are likely to catch certain dangerous diseases, and these if not treated immediately, may cause further health problems. The key is that owners take responsibility of addressing the disease in time so that necessary steps can be taken to eradicate the disease as soon as possible. Admittedly, a disease-free dog is one which is healthy and active! Canine distemper is caused by an extremely contagious virus through tiny particles present in the air or respiratory secretions of infected dogs. Such infected dogs usually develop watery eyes, fever, runny nose, coughing, vomiting, diarrhea etc. Such a disease, if not attended to within the timeline, may even become fatal. However, there is an effective vaccine available now to protect your dog from this deadly disease, which is considered a “core” vaccine and thus applicable to every dog! Canine influenza is another common disease found in dogs, and is caused through respiratory secretions or contaminated objects. 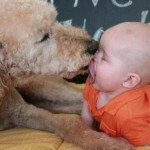 It has been seen that that the virus can survive for a long duration and is easily transferable from one dog to another. Studies have revealed that dogs with canine influenza develop coughing, a fever and a snotty nose. 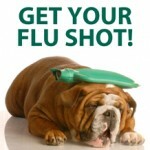 Thankfully, there is a vaccine for canine influenza, but at this time it is not recommended for every dog. What is recommended is that it is better to consult your veterinarian to determine if the canine influenza vaccine is suitable for your dog! While internal well-being of dog is critical, there are a range of external dangers posed to your dog that may harm your dog’s health as well. 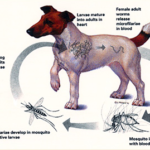 In this regard, external parasites, such as ticks, fleas and mange, are fairly common dog problems. They can be easily transmitted from one to another and to adequately address these menacing beings, consult your vet for effective shampoos, sprays and lathers. Perhaps the most gruesome of dog related diseases is definitely fungal infections such as blastomycosis, histoplasmosis etc. In general, the fungus infects the body through the respiratory tract and causes fever, coughing orpneumonia-like signs. If eaten, digestive problems like diarrhea can also occur! 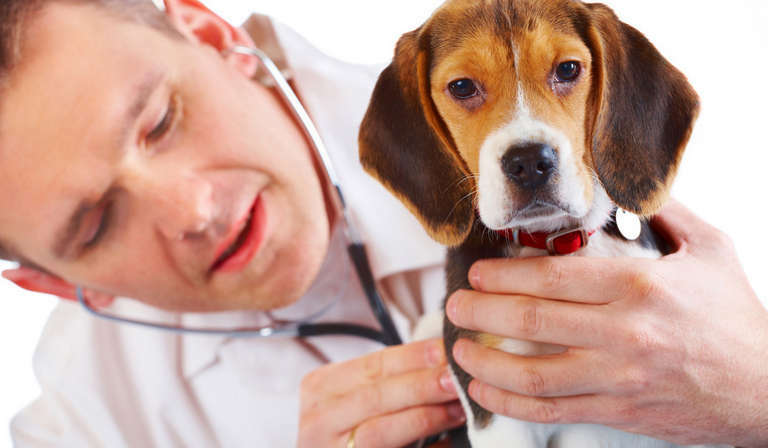 The best way to combat such infections is to continuously ensure that your dog is regularly vaccinated and treated in time to mitigate any negative effects. Dogs are messy, dirty and always playful. Because of their hyperactivity, they are likely to absorb multifarious diseases; all of which are cruel and nasty in their own specific manner. 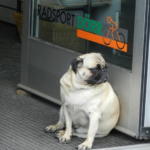 The most recommended and best approach is to consult a vet as soon as possible. At your end, remember that cleanliness will save you from most of these diseases; thus as always caution is better than cure!